Dumplings. I love them, you love them, we all love them. One of the first things I asked when I moved to Seattle was “Where are the best dumplings?” After someone jokingly told me, “Din Tai Fung”, someone else told me about Fu Man Dumpling House. This person had lived in Hong Kong and China before, so I figured they would know. So we went out for a ride to find it. It’s a little non-descript place with a small sign. Inside, it’s also small, but cozy. 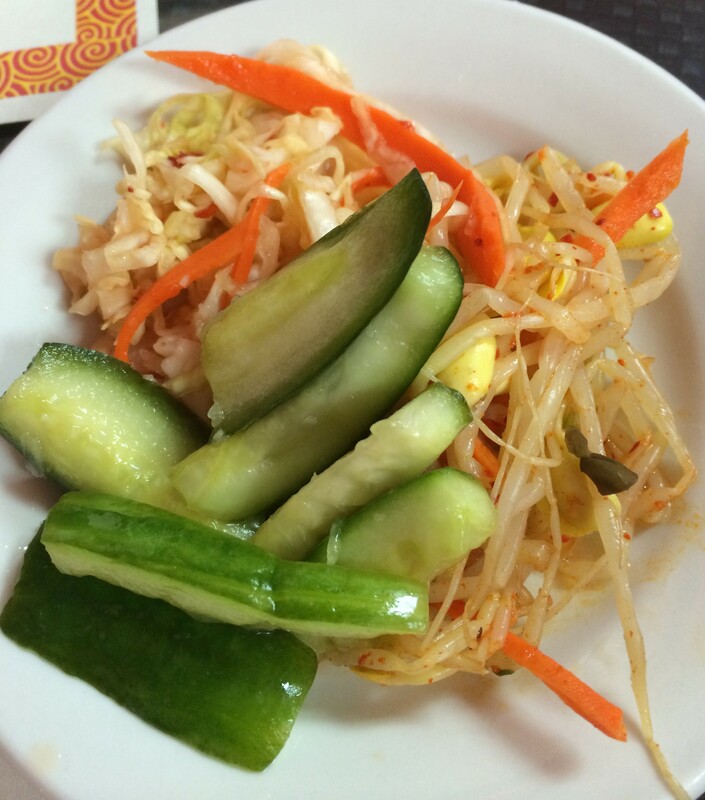 We sat down on a busy Saturday lunchtime and were met with a nice plate of picked starters. 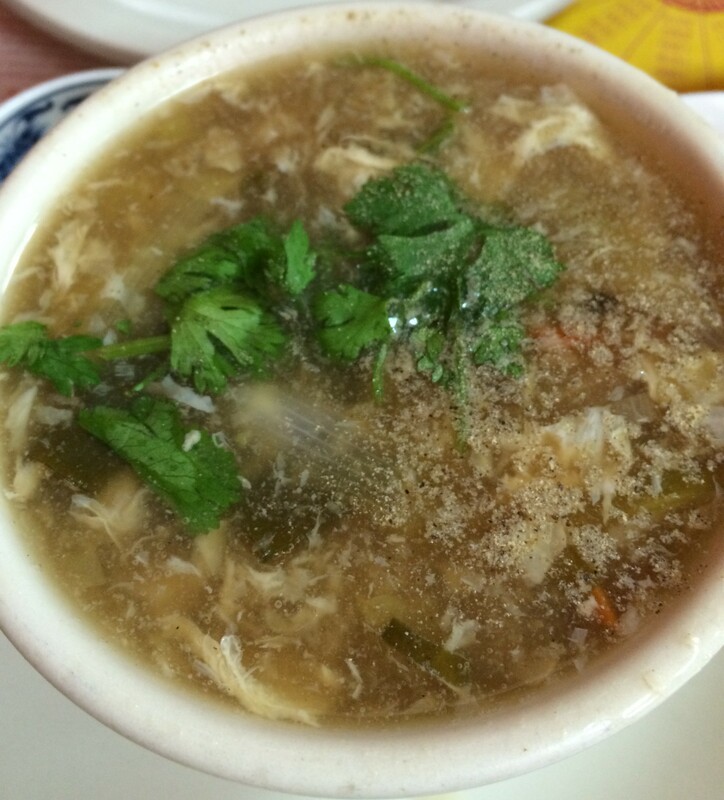 I’m always up for a good Hot and Sour Soup, so I decided to try for it here. It was quite nice. Well done and worthy of ordering again. We came for dumplings and we got them. 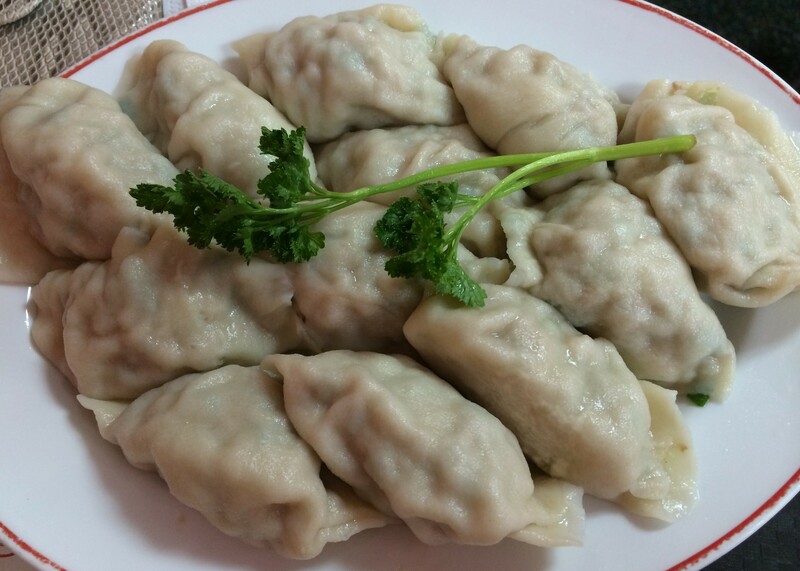 Boiled dumplings. Skin not too thick, filling nice and meaty. And when dipped in their amazing Garlic Sauce, so nice. Beware the Garlic Sauce! It tastes great, but later on it gives a great kick! 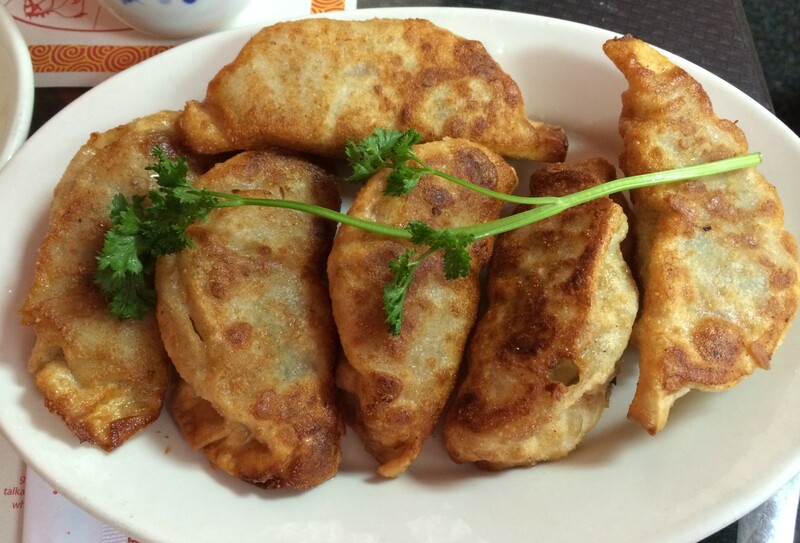 But the star of the show, the Fried Dumplings. Pan Fried to perfection, it was awesome! Skin not too thick, filling nice and so hot. Worth the drive and trying to find the place. I will be back, there is no doubt about it! Posted in Chinese Food - Anything & Everything, Dumplings, SeattleTagged Dumplings, SeattleBookmark the permalink.